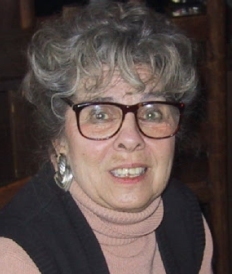 Nora Johnson Henn (May 23, 1925 - May 15, 2011) was Lincoln County Historian for many years. She compiled, for her own interest and to help others, one of the most extensive research collections concerning the Lincoln County War and its events and personalities that is known to exist. Nora Henn was born on May 23, 1925 to Albert Johnson and Nora Murray Johnson at Dallas, Texas. Nora attended high school at Dallas before moving to California. It was there that she met artist Walter Henn, whom she married on June 27, 1945 at Los Angeles, California. The couple lived for a time in Rochester, NY, where they worked for Kodak. Nora and Walter moved to Lincoln, NM in 1965 where they were instrumental in organizing the Lincoln County Historical Society as well as the historical ordinance that keeps Lincoln in the pristine condition that tourist delight in finding today. Walter was the first director of the Lincoln County Heritage Trust and both he and Nora, among others, were responsible for the restoration of many of the original buildings in Lincoln. Walter passed away in 1999 at the age of 82. Nora continued work on her book about the history of Lincoln County, a detailed work that will probably never be equaled. In the words of her friend and Lincoln County historian Frederick Nolan of London, UK, "Nora not only knew the history of Lincoln County and its wars, she even knew the gossip from the period!" The Archive includes two major collections: One is materials by and collected by Nora Henn (nee Johnson); the second is materials by and collected by Alice Blakestad. Other collections donated to and available at the archives include the Bosselman, Schrechengost and Boylan collections. The Archive includes original and primary source material, biographical collections, census material, manuscripts, correspondence, copies of county and federal records concerning local history, transcribed interviews, bibliographies, family genealogies, periodicals and other historical resources. Alice Blakestad's interest was local genealogy, and her files on the history of local families and places are extensive. She published A Gravesite Directory of Cemeteries in Lincoln County, LCHS Publication No. 8, 2001. Walter R. Henn, landscape and portrait painter in oil and watercolor, was interested in art, theater, literature and history. His art graces the walls of the house. The foundation is located in the former home of Nora and Walter Henn in Lincoln, NM. Except for the research room that is dedicated to the archives, the home is as Mrs. Henn left it. The building was originally an old adobe that was likely constructed in the late 1800s; more recent additions are used by the full-time caretaker. The Library includes over 2,000 volumes of non-fiction, some novels, chiefly history, and specifically the West and the Lincoln County War; also periodicals and video materials. Research at the Foundation is by appointment only. Please see our Policies and Contact pages to make an appointment. No curios! No souvenirs. No check-out. Research supervised. Appointments with member of foundation staff only. No fee for research. Per page fee for copies. Internet access available. For directions, contact staff.